Plant a little love and watch it grow! 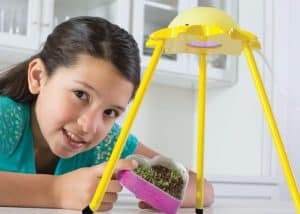 Chia seeds will sprout from this Heart Shaped Mini Grow Kit in just 3 to 4 days. Add a dose of wow with the decorative foil accent or create your own design on the opposite side perfect for party favors or for indoor gardening beginners use our grow light accessory to optimize your results. Includes chia seeds, potting mix, heart-shaped container and decorative foil accents. Grow light accessory not included. Want to do something different than just Valentine cards for Valentine’s Day at your kiddo’s school? These treat bags will be a hit! Get this Set of 20 Fun Valentine Treat Bags for just $6. This set comes with 20 cellophane bags and bag stickers in a variety of themes that boys and girls will love. Just put candy, little toys or anything else you can think of in the bags, close them up and put the sticker on. Easy peasy treats for the kids! Don’t miss these fun Valentine Treat Bags while they’re on sale! 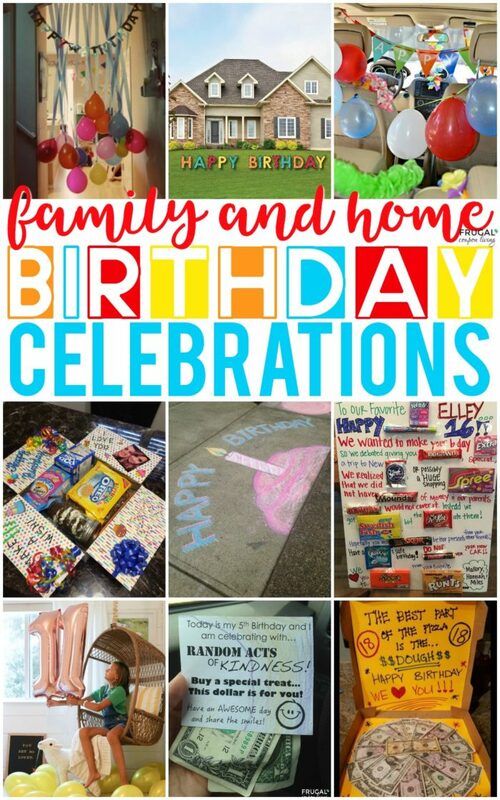 Family Birthday Celebrations – How to Celebrate Every Member! 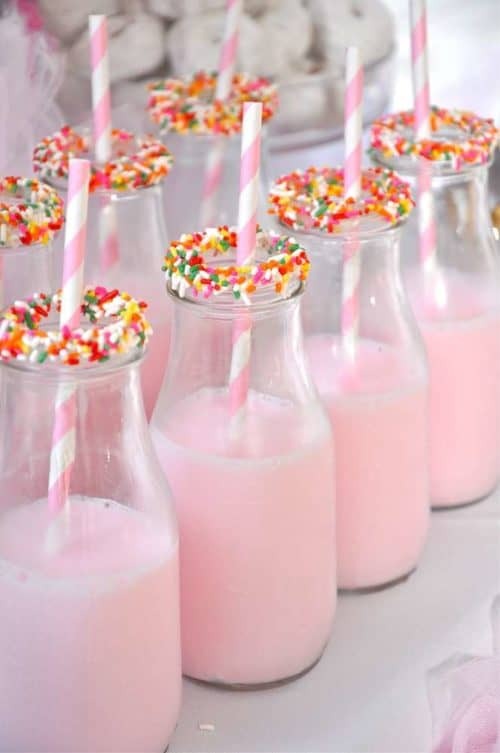 Make every member of the family feel special with these Family Birthday Celebrations. 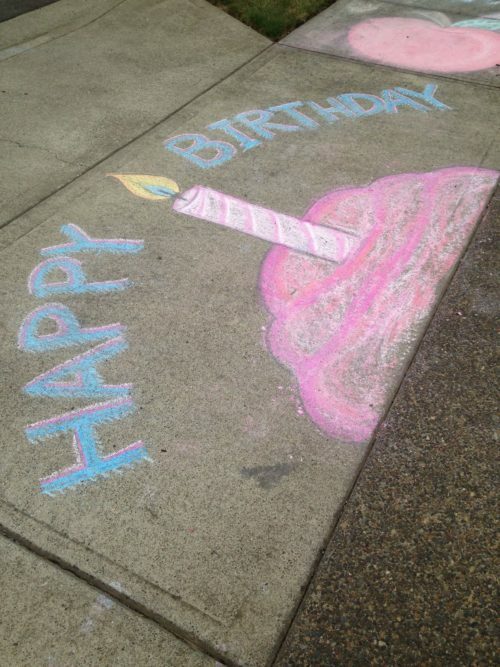 Creative ideas and family traditions for celebrating every year of life! 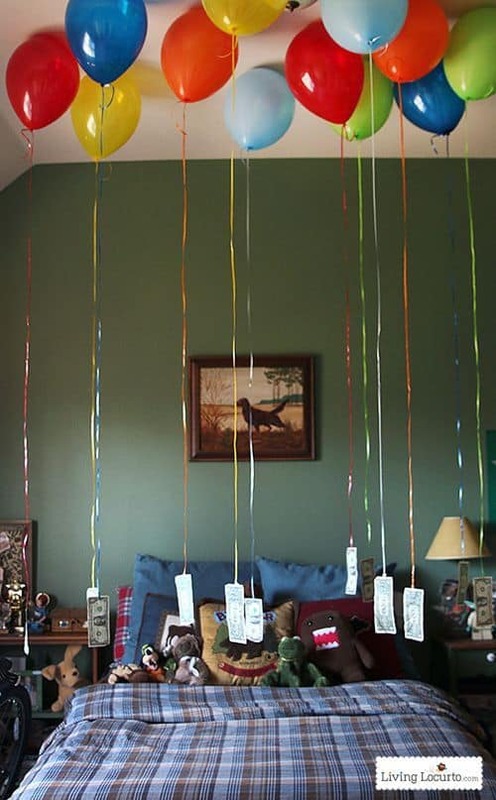 As the kids in our home increase, the birthday parties with friends decreased. Our girls were 7 and 8 when their younger brother came and 8 and 9 when their additional brothers (twins) came. That being said, there were years that it was easy (and affordable) to throw them a yearly birthday party with friends. They have gotten older, and less interested, and I have been researching ways to make them feel loved at home without spending hundreds of dollars. 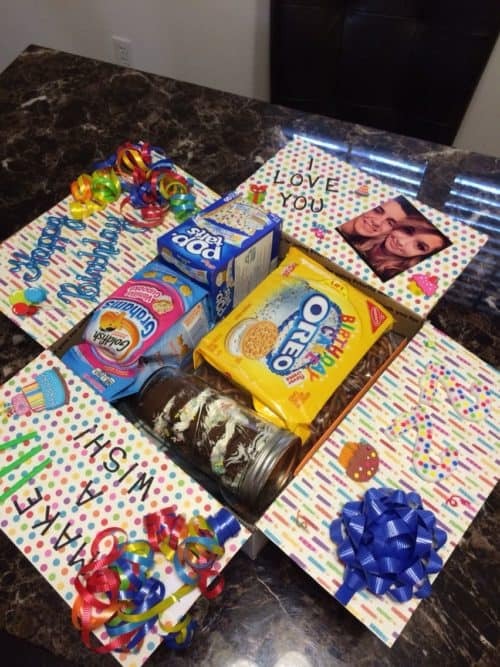 Below are creative ways to make your younger kids, your spouse, or your teens feel special on their date of birth! 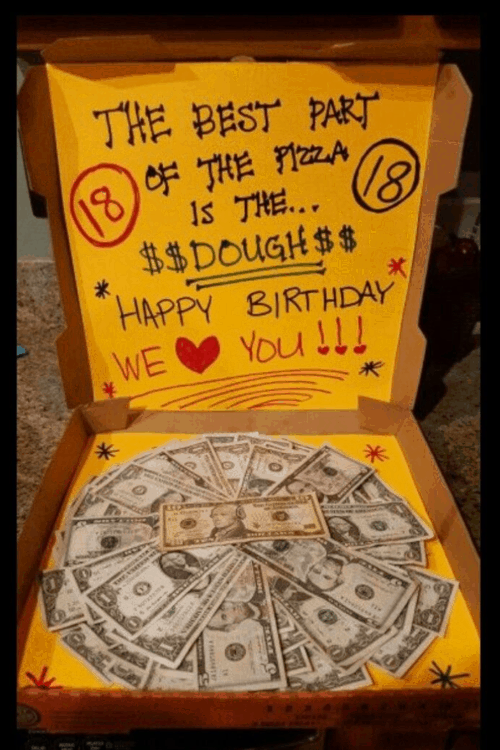 Make sure you get all the way to the bottom of this post because we have a really creative away for you to pay it forward and for you to give back to others each and every birthday – such a wonderful lesson for you kids! It comes with a free printable! Browse ALDI Weekly Ads. 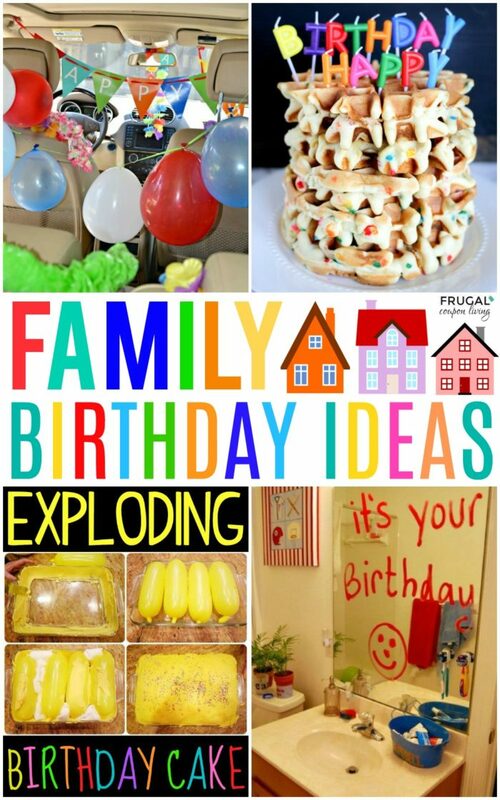 Also take a look at these birthday party themes on Frugal Coupon Living. 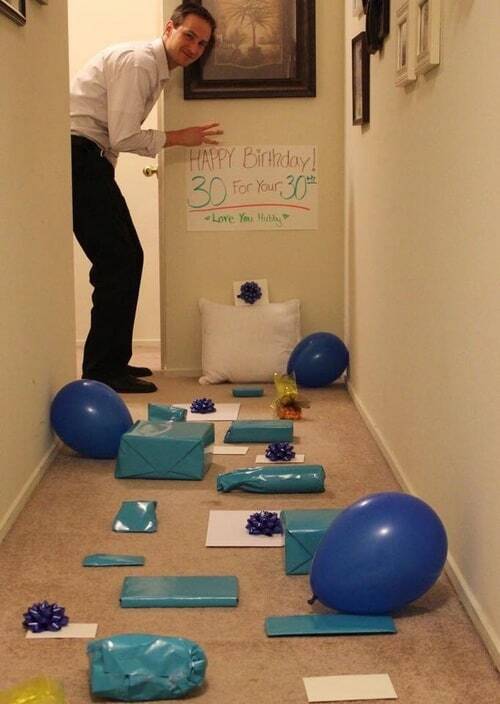 How about this wake up birthday surprise? 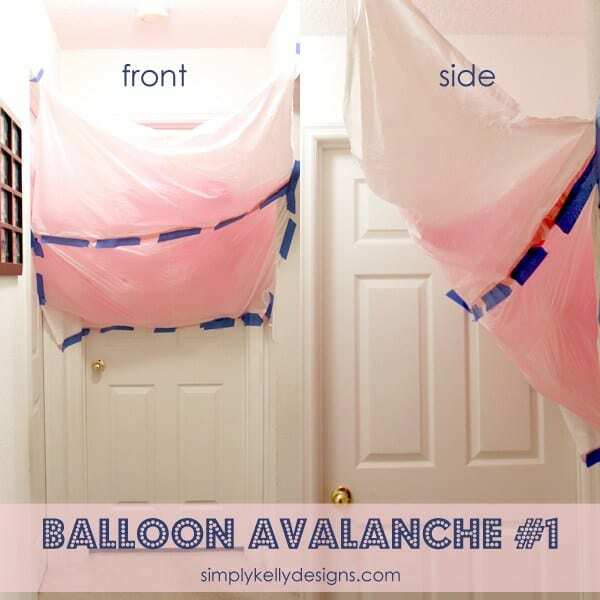 Nothing is more festive in the morning than being caught off guard by a Balloon Avalanche. Tutorial on Simply Kelly Designs. 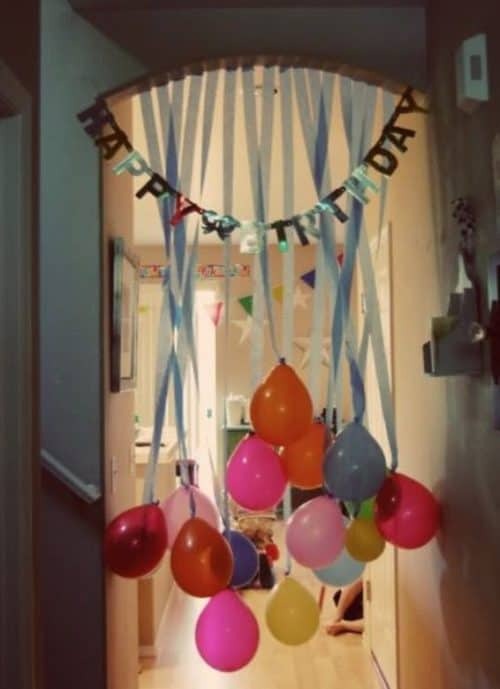 Decorate the hall with balloons, streamers and a birthday sign! Idea found on Trey and Lucy. Decorate the front yard with a sign. 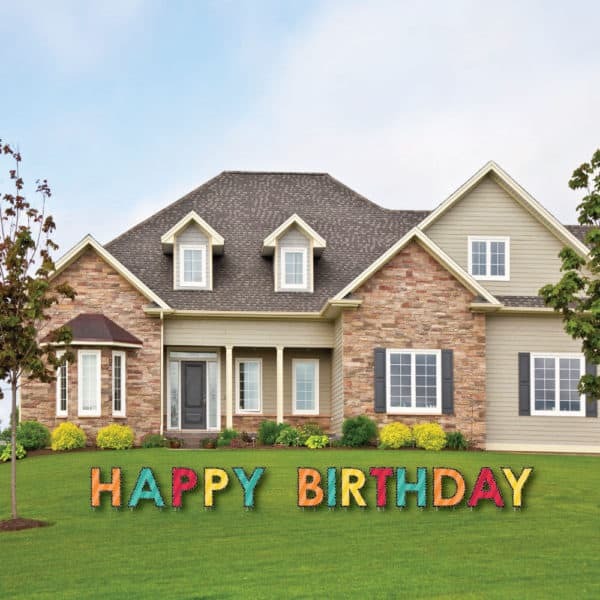 This is a Happy Birthday yard sign you can use with every family member! Don’t forget a sweet lunch for your loved one. 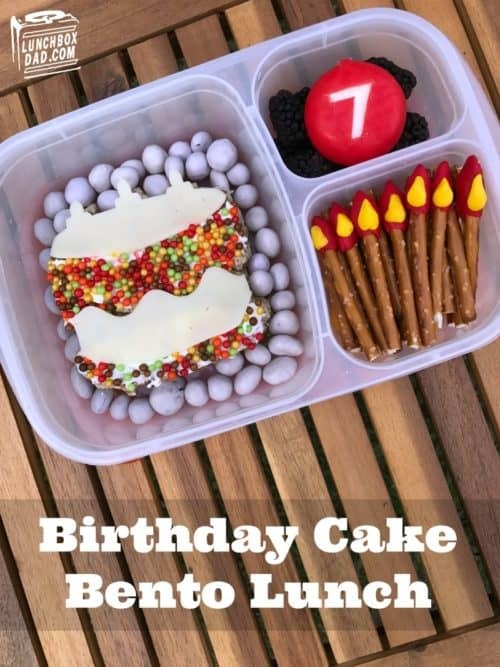 Get inspiration from this Birthday Bento box from Lunch Box Dad. 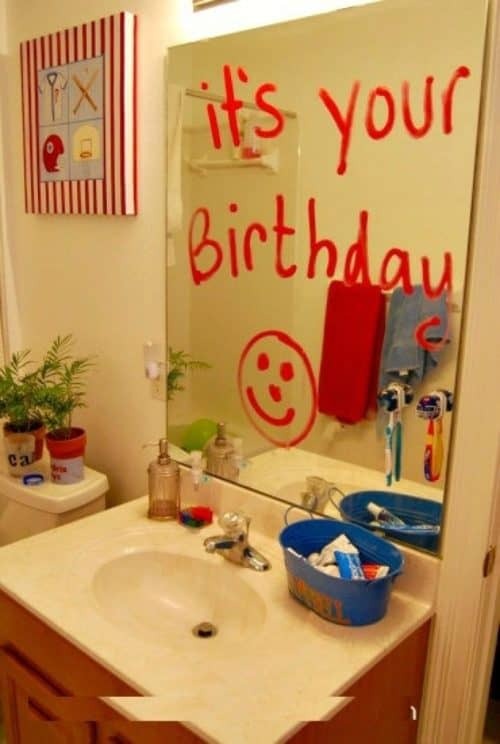 Don’t forget the bathroom mirror – leave a morning message wishing happy birthday. Idea from House of Hendrix. 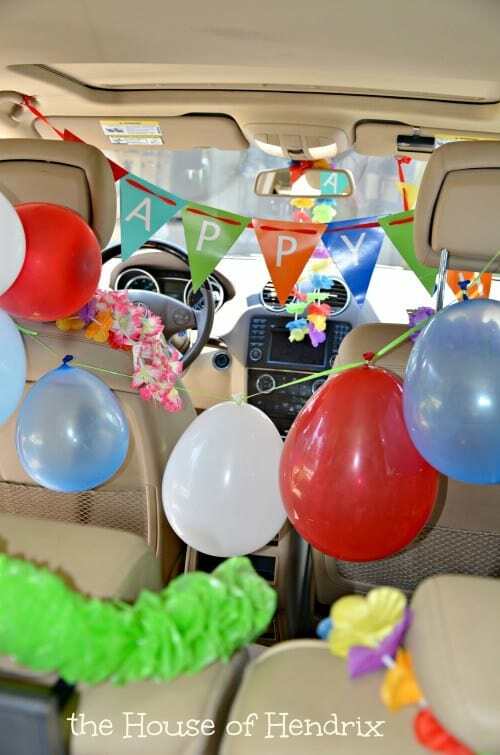 Have a teenager… maybe a husband that would appreciate a birthday prank – decorate the car with balloons, streamers and more! Idea from House of Hendrix. My Frugal Adventures does something cute. She loads the floor with balloons. 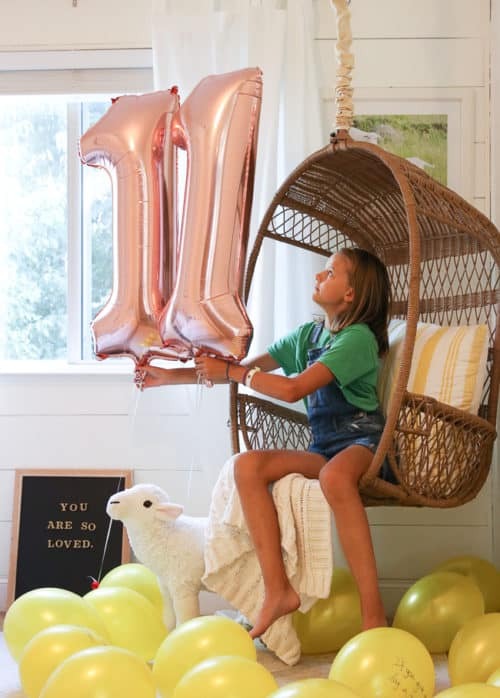 One of the balloons is a starting point for a scavenger hunt of her child’s favorite things. Speaking of a scavenger hunt! The starting point is when their alarm goes off! You can make the scavenger hunt last all day or be done in five minutes. 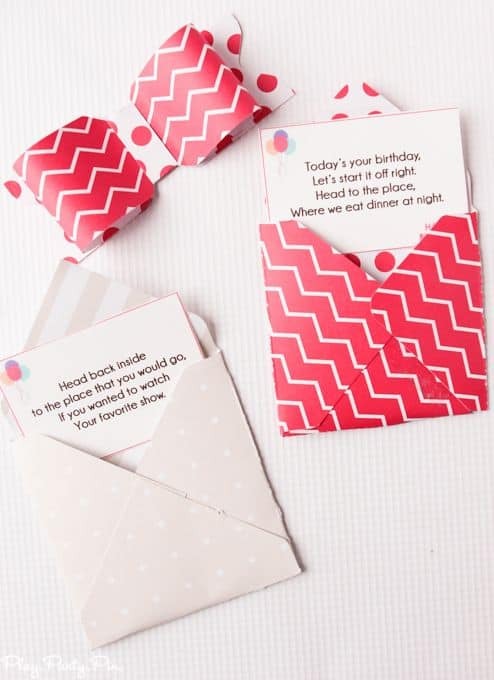 Adorable birthday scavenger hunt printable on Play, Party, Plan. 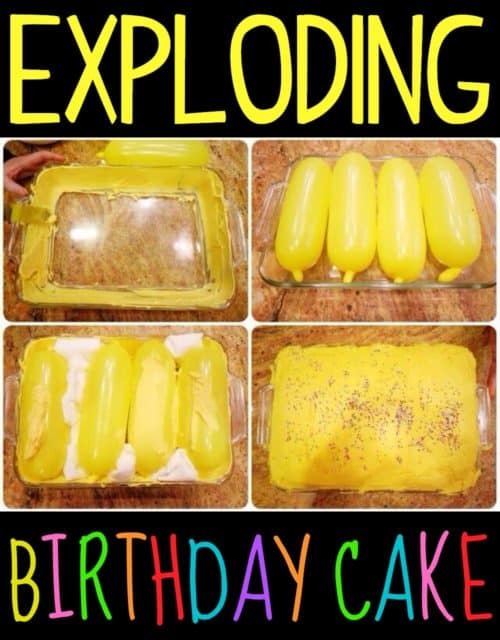 If you have one that can take a joke, have two cakes including this exploding birthday cake – when the cake is cut, pop! Get details on The Dilettante Files. Spell it out! 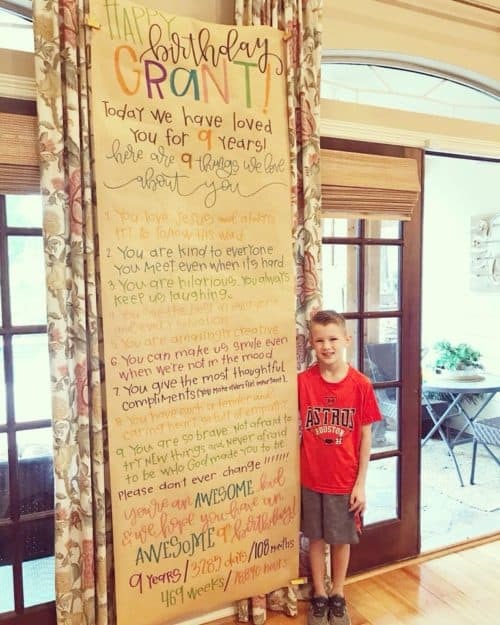 List all the ways your child is loved with a large poster! This idea comes from one creative mama, my friend Cara at The First Grade Parade. 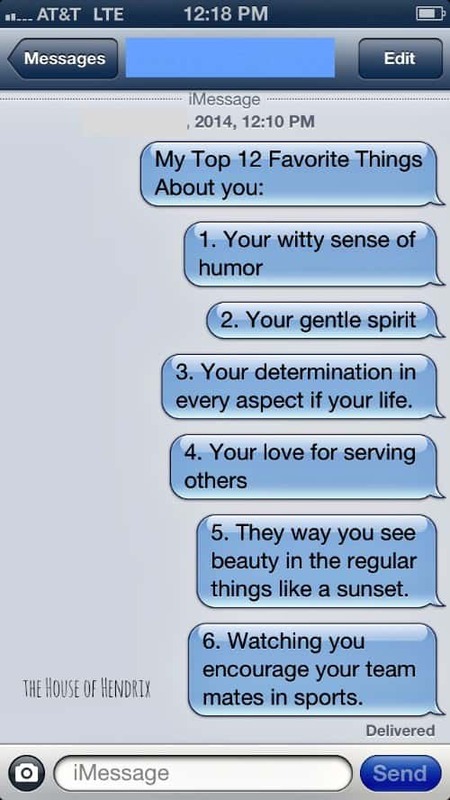 Don’t forget others! 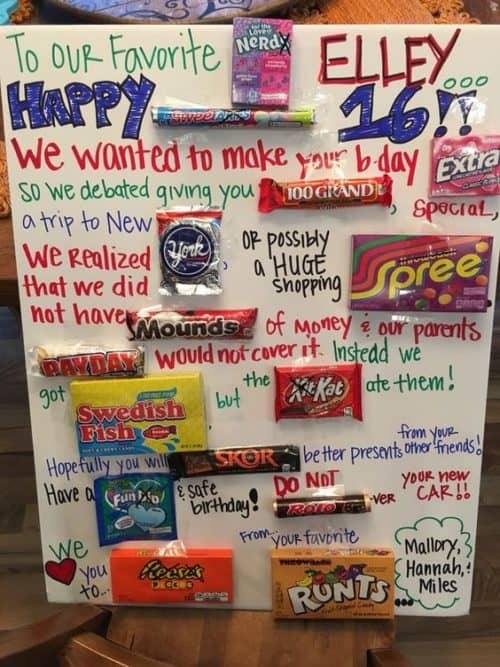 My cousin is above and beyond with everything, always making her kids feel special 365 days a year. 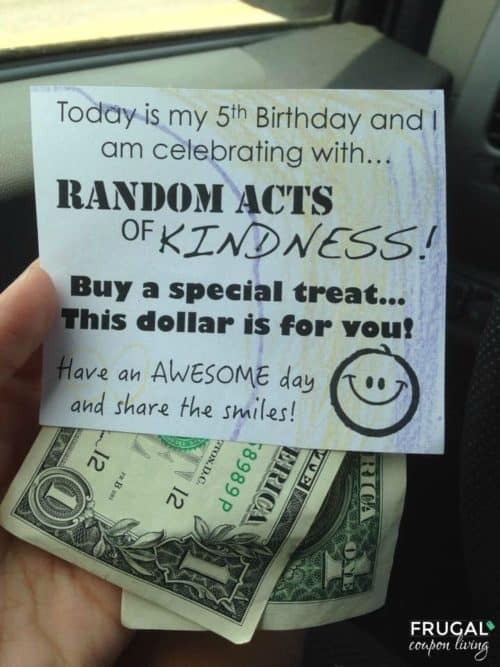 She takes their birthday a step further by having the do random acts of kindness for others. 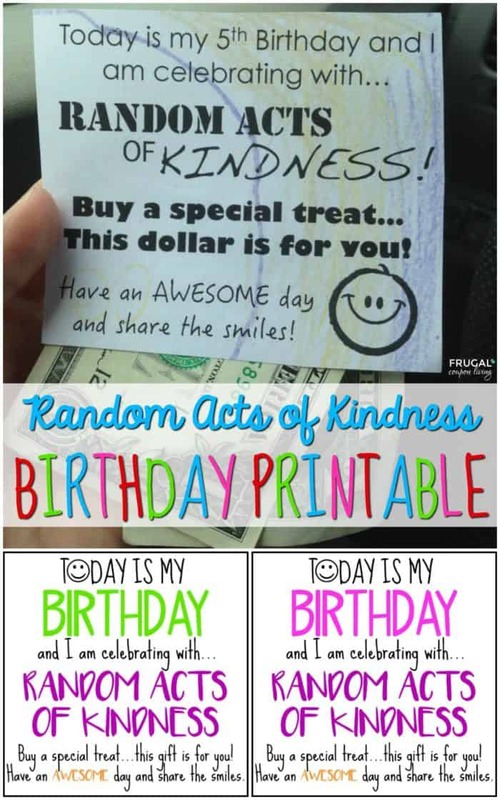 They left these at the dollar store!… Because she is so awesome, I made a printable for you to do the same! Have the kids color the background – rainbows, polka dots, doodles, their name – whatever! 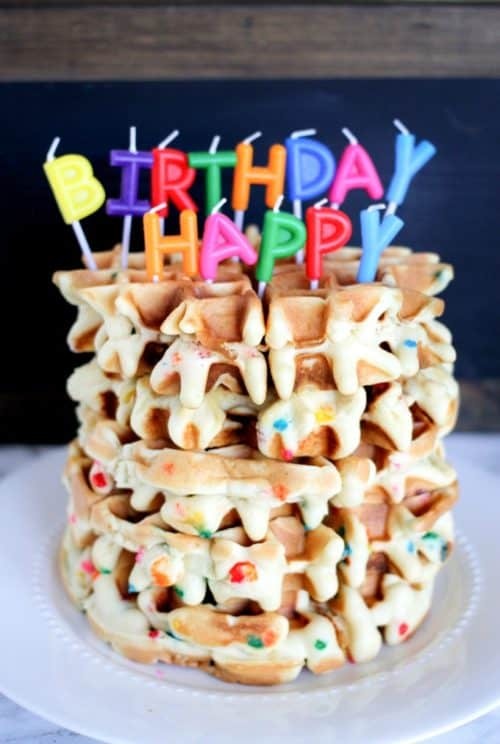 Hosting a birthday? 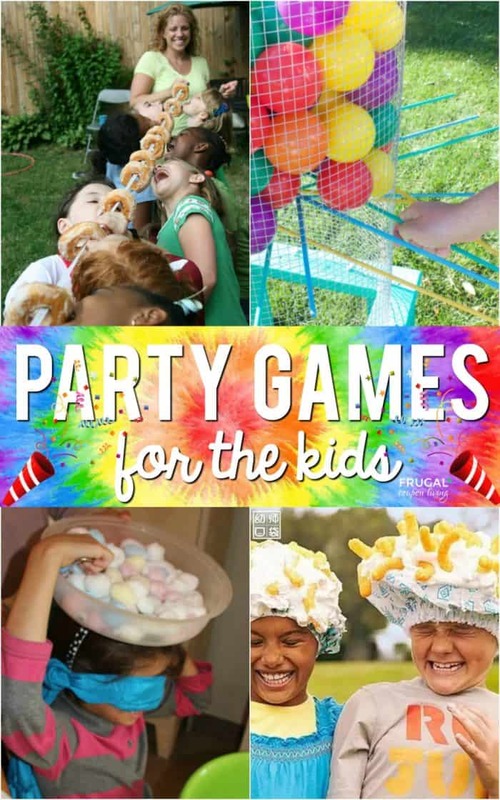 Take a look at these Kids Party Games. Pin to Pinterest. For your child’s home birthday, why not host a family game night? 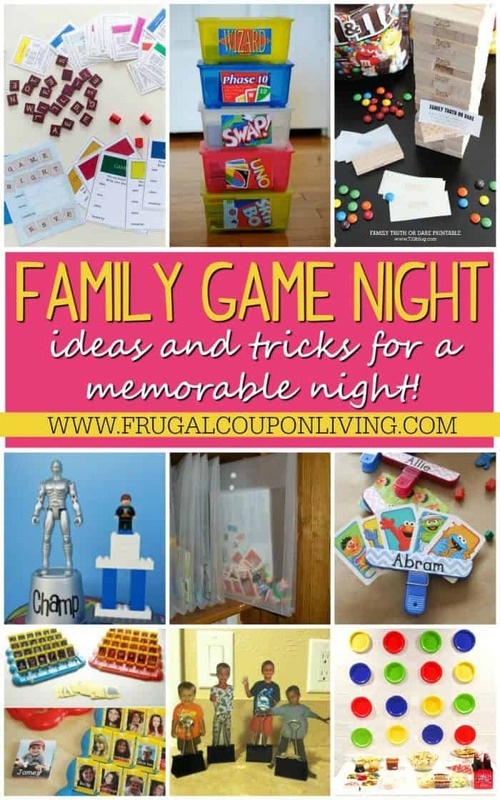 Take a look at these Family Game Night Ideas. Pin to Pinterest. You can also incorporate these Family Game Night Snack Ideas. Pin to Pinterest. If you love to be ultra cozy during the cold winter weather, you’re going to want this sweater in your life. Nothing says winter like comfy, baggy sweaters like this Ultra Soft Pocket Sweater. Get this sweater for just $27 (reg. $52). This classic sweater is soft with an oversized fit, crew neckline, and deep pockets. You’ll feel so comfy, but look so classic in it. Throw this on over your favorite skinny jeans or leggings with cute boots or full size boots for a cozy and fun winter look. 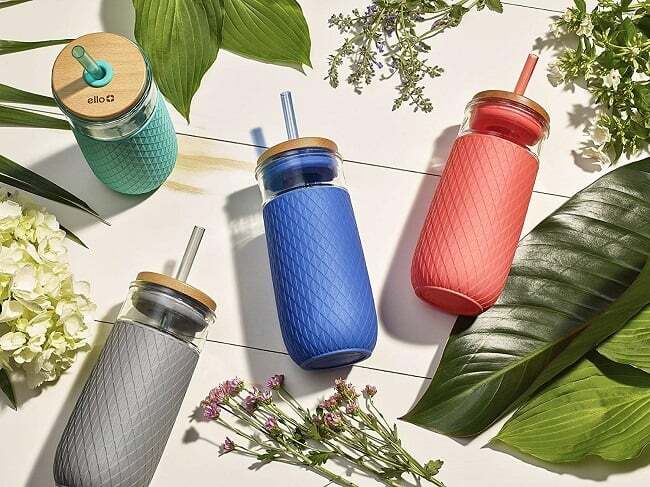 The Ello Devon 20 ounce Tall Glass Tumbler with Straw is designed for enjoying your favorite beverage on-the-go. Whether you drink smoothies, iced tea, juices, or water, everything tastes better in glass! Devon’s silicone boot protects and provides a no-slip grip. The mouth is wide enough for ice cubes and easy cleaning, and it features a real wood friction-fit lid.